A growing number of gamers have found their dream job: playing video games and posting videos of them on YouTube for their fans. But now, Nintendo is asking YouTubers like to hand over at least 40 per cent of their ad revenue for any video starring Mario or Link. Nic Truong of Mississauga, Ont. has a dream job: he plays video games and posts clips of them on YouTube for his fans. But now, Nintendo is asking YouTubers like Nic to hand over at least 40 per cent of their ad revenue for any video starring Mario or Link. Truong, better known as TetraNinja, has built a following of more than 800,000 on YouTube by providing play-by-play commentary on video games. These clips are called "Let's Plays," and they're some of the most popular gaming-related videos on the internet. Nintendo games hold a special place in Truong's heart. "The original Legend of Zelda on the [Nintendo Entertainment System] was the very first video game I played," says Truong, who credits the popularity of his channel to his 2011 series of Let's Plays of Zelda: Skyward Sword. YouTube videos generate money for the uploaders in several ways, but most of them are tied to ads - either "pre-roll" ads that play before the clip, or banners that are superimposed on them. But a video creator needs to surpass a certain threshold before they get a cut of the ad revenue. Several sources estimate that 1,000 views on a single video will generate around five dollars of ad revenue. Half of that goes to Google, and the rest goes to the creator. 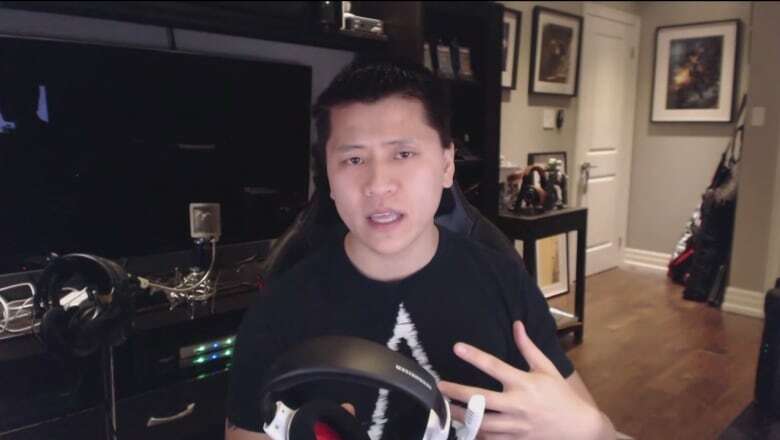 Gamers like Truong, whose most popular videos have millions of views, are able to make full-time income from sharing their hobbies with their fans. The gaming publishers have taken notice. In 2013, Nintendo made sweeping copyright claims on videos on YouTube that included footage from their games. "As part of our on-going push to ensure Nintendo content is shared across social media channels in an appropriate and safe way, we became a YouTube partner and as such in February 2013 we registered our copyright content in the YouTube database," Nintendo said in a statement in 2013. The copyright claims meant that all ad revenue that previously would go to the creators of the individual videos went to Nintendo instead. It caused a significant backlash in the Let's Play community. Eventually, Nintendo dropped the claims. The company'snew initiative, unveiled in January, proposes to share the revenue for some videos. YouTubers can apply to the Nintendo Creators Program and if an approved channel's video contains footage from a list of approved games, the revenue is split between the two parties – 40 per cent for Nintendo and 60 per cent for the creator. If Nintendo chooses not to approve a video, then it can claim 100 per cent of the ad revenue, as it attempted to do in 2013. So far, it's not clear why some videos are approved and some are not. Alternatively, gamers can register their entire YouTube channel with Nintendo, and increase their share of the revenue to 70 per cent. Since Google already claims 50 per cent of the total ad revenue generated by videos, the creator and Nintendo's share would be divvied up from the remaining 50 per cent. Nintendo of Canada did not respond to CBC requests for comment on its parent company's Creators Program. Nintendo's recent move was a surprise to many gamers on YouTube, who see it as an attempt by a publisher to eat into their revenues and exert creative control over their content. 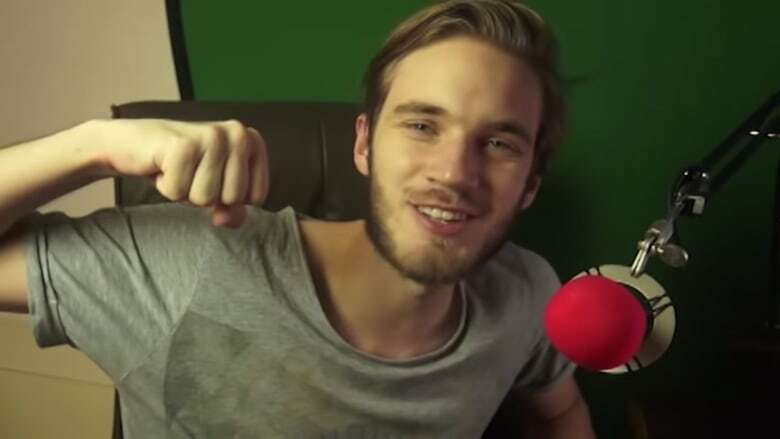 Felix "PewDiePie" Kjellberg, a Let's Player from Sweden who has more YouTube followers than anyone in the world, called Nintendo's new program "a slap in the face" of people making videos online. He argues he and other YouTubers already give games companies free advertising that targets an audience difficult to reach through traditional ads in magazines or television. Other prominent gaming commentators, such as Jim Sterling, Jeff Gerstmann and Steven "Boogie" Williams, have echoed Kjellberg's opinion on the program. Many gamers also say they aren't violating copyright, arguing their work is permitted by fair use provisions under copyright law. Section 29 of Canada's Copyright Law states that fair use does not infringe on copyright if it's used for research, parody, satire, criticism or news reporting. That's why movie reviews can include short clips of the films being critiqued. Elena Iosef, a Toronto lawyer who specializes in intellectual property, says Let's Plays likely won't infringe on copyright, in part because, unlike watching a copy of a film or television show, watching someone play a game is not a substitute for actually playing the game yourself. "Someone watching a Let's Play is not going to go, 'Well I've watched it. I'm not going to buy the game now,'" she says. "If anything, it's going to make them more excited to buy the game, unless the game is completely awful." Whether that argument holds up in court, however, is yet to be determined. No legal decisions involving video games and fair use have been made either in Canada or the U.S.
​Shortly after opening the Creator Program, Nintendo was flooded with applications. While they promised wait times of three business days for a reply, instead it turned into weeks without notice. Some gamers, such as Truong, have decided it's not worth the wait. They'd rather avoid the process altogether, hoping Nintendo either doesn't notice them or doesn't take the time to claim their cut of the ad money. "I have no doubt in my mind that I'll eventually have to submit individual videos to their program," says Truong. ​When that happens, Nintendo will get a lot of the ad money from his Zelda videos. But he can still count on revenue from his videos of games that are not made by Nintendo. His biggest worry is that the Creators Program might set a precedent for other gaming companies to follow suit. The possibility of losing a large cut of the income from his entire library of videos – over 6,000 – is a much different proposition. Because of this, he's considering moving full-time to the livestreaming channel Twitch instead, where gamers subsist primarily on direct donations from viewers and subscribers.